When I was a young child, there was nothing like Christmas morning. Christmas Eve was never a night I got too much sleep. I was too busy imagining the gifts that lay under the tree, and honestly, the gigantic breakfast my mom cooks every Christmas. But there was one tradition that was really unique to me. See, in our home, we have an Advent calendar. 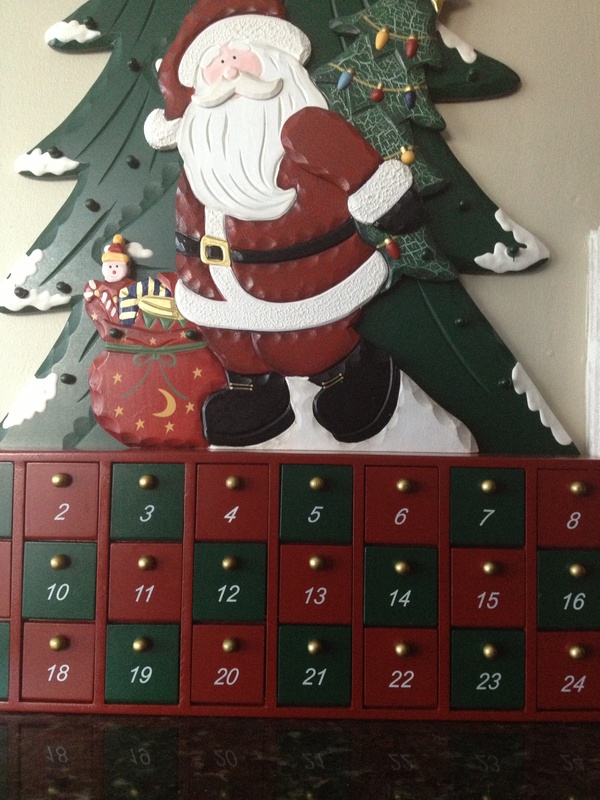 Even if it has Santa on it, the wooden calendar has a tree on it with hooks. Below that are 24 doors, each of the days of December leading up to Christmas day. Once December hit, I looked forward to opening each of those doors on their respective days. I found a multitude of wooden objects in there, from teddy bears to bird houses, candy canes to snowflakes. The simplest little symbols gave me the utmost excitement, and my anticipation built with each day leading up to Christmas. With today’s horrific shooting in Newtown, CT, I came to the realization that there were now 20 less children who could enjoy the traditions that I did at such an age. 20 less teenagers to experience the highs and lows of adolescence. And 20 less future adults who could’ve helped change this world. I’ve never been so stricken by such terror, and it was only fitting that I watched it all unfold with my mother on the couch. I saw tears in her eyes as she told me ANY life of a child lost is one too many. We talked about how lucky I’ve been to be able to peacefully obtain education, to be able to walk in and out of school safely with any knowledge I gained. The parents of this country grieve when in any other year, they’re mostly finishing up their Christmas shopping. Every life lost today is an unthinkable horror. Every innocent soul is now up above as a glowing angel this Christmas. I give every ounce of my heart to the families affected by this, as you all simply thought it would be another school day. I’m 20 years old now. I haven’t even thought about opening any of the doors on that calendar in years. But today, I walked up to it and stared at the door with number 14 on it. After a few minutes, I opened it, and held a little birdhouse in the palm of my hand.